Henry IV was King of Navarre and King of France from 1589 to 1610. 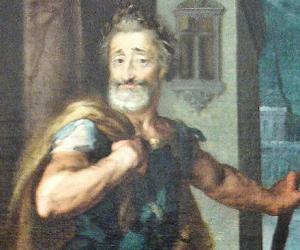 This biography of Henry IV profiles his childhood, life, reign, achievements and timeline. Henry IV of France, who ruled from 1589 till his death in 1610, was the first Bourbon monarch to sit on the throne of France. Prior to that, he was known as Henry III of Navarre and ruled over the state from 1572 to 1610. Henry IV’s ascendancy to the throne of France was mired with controversy. His predecessor, King Henry III belonged to the House of Valois. He did not have any male successor and the Salic law did not allow women or their descendants to occupy the throne. On the other hand, Henry of Navarre was the next agnatic descendant of King Louis IX. Consequently, Henry III was forced to recognize him as his successor. Yet, many nobles opposed his succession on the ground that Henry was a Protestant. Ultimately, he had to use military power to occupy the throne. At the same time, he was a man of vision and courage. He soon won the hearts of his subjects through many benevolent acts. Under him France enjoyed relative prosperity and his concern for the financial state of the pheasants was highly appreciated. He was often referred as ‘Good King Henry’ by his loyal subjects. King Henry IV of France was born on December 13, 1553 to Queen Joan III of Navarre and Bearn and her consort King Antoine de Bourbon in Pau. The couple had five children, out of which Henry III of Navarre was born second. Through his father’s side, he was a direct descendent of the thirteenth century king, Louis IX of France. Henry III’ of Navarre’s elder brother Henry, Duke of Beaumont died at the age of two in 1553 and his younger brother Louis Charles, Count of Marle died in 1557. This made him the only surviving son of the reigning queen. Since Antoine de Bourbon was a Catholic, Henry III was baptized as one. From 1561 to 1566 Henry III of Navarre spent a lot of time with his second cousins, the children of King Henry II of France. He was brought back to Bearn when he turned 13. His military education began around the same time. The queen, who was a follower of John Calvin, began to bring him up as a Protestant. By that time, the conflict between the Protestants and the Catholics had started. In the autumn of 1567, the queen launched an expedition against the rebellious Catholic gentry in South Navarre. Henri III, who was then around fourteen years old, became its nominal head. Henri III of Navarre went on another expedition in 1568; this time under the leadership of his brother in law Louis I de Bourbon, Prince de Condé. However, they were defeated on March 30, 1569. The young Prince then had further military education under Gaspard de Coligny. In 1570, Henri III of Navarre was put in charge of the Huguenot army. The long campaign through ravaged area instilled in him a military spirit that would remain with him for the rest of his life. He specially distinguished himself on June 26 at the Battle of Arnay-le-duc. Peace was concluded in August, 1570. To strengthen the peace, marriage was arranged between Prince Henri III of Navarre and Margaret of Valois, the daughter of King Henri II of France. However, before the marriage could be solemnized the Queen of Navarre, Joan III, died on June 9, 1572. Henri’s father Antoine de Bourbon had already passed away in 1562. 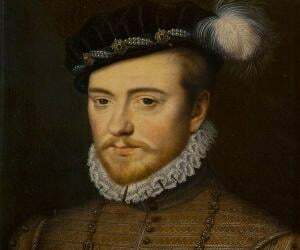 On his mother’s death in 1572, Henri now ascended the throne of Navarre and began to be known as Henri III of Navarre and Sovereign Lord of Bearn. Henri’s marriage to Margaret of Valois took place on August 18, 1572. It was followed by massacre of several thousand Protestants, who came to Paris for the wedding. Known in the history as Saint Bartholomew's Day Massacre, it spread to other parts of the country in no time. King Henri III of Navarre escaped death narrowly; but had to promise to become a Catholic. Moreover, he was confined to the French Court until 1576 and then escaped. On leaving Paris the King revered back to the Protestant Church. By the end of the year, the civil war broke out once again. The King of Navarre displayed extreme common sense and convinced his co-religionists to accept the Treaty of Bergerac on September 17, 1577. Prince Francis, Duke of Anjou and Alençon, the brother and heir to reigning king Henry III of France, died on June 10, 1584. With his death, Henri III of Navarre became the ‘heir presumptive’ to the throne of France. Henry III of France did not have any other option but to accept him as his successor. However, because Henri III of Navarre was a Protestant, the Catholic nobles of the French court refused accept him as their king. The Pope sided with them. The conflict gave rise to ‘The War of Three Henries’. On October 20, 1587, Henry III of Navarre defeated the French army at the Battle of Coutras. The League of Nobles opposing King Henry III of Navarre then decided to seek the help of the Catholic King of Spain. Others proposed that the Salic law should be revoked. Both of them would have undermined the sovereignty of France. The League had also taken control of Paris. Realizing the situation, King Henry III of France decided to make peace with King Henry III of Navarre. Together they laid siege to Paris on July 30, 1589. However, King Henry III of France was assassinated on August 2 and with that King Henry III of Navarre became the titular head of France. The war between the King and League dragged on for nine years. Many of the nobles who sided with King Henry III of France deserted Navarre. 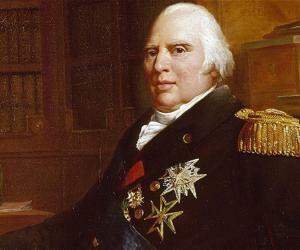 Although he won a few major wars, Paris remained under the control of the League. His army too was exhausted. Finally, on the advice of his long time mistress Gabrielle d'Estrées Henry III of Navarre decided to reconvert to Catholicism. On July 25, 1593 he announced his intention and became acceptable to vast majority of his subjects. On February 27, 1594 King Henry III of Navarre was crowned as King Henry IV of France at the Cathedral of Chartres. However, the League of Nobles was still very strong and aided by the King of Spain, they continued their rebellion. Therefore, in January, 1595, the new King declared war on them. By June, 1595, he had defeated the remaining nobles and their Spanish allies at Fontaine-Française in Burgundy. By 1597, he had captured Amien. On May 2, 1598 the Peace of Vervins was reached between France and Spain. King Henry IV of France now had time to concentrate on restoring order and bringing prosperity to his new kingdom. On April 13, 1598, Henry IV of France signed the Edict of Nantes. It confirmed Roman Catholicism as the state religion and at the same time, it granted religious freedom to Protestants. It also effectively ended the War of Religion that had plagued France for a long time. He next set his mind towards improving the financial condition of his government. The Edict of Paulette, declared in 1604, helped him to eliminate national debt and create a reserve. 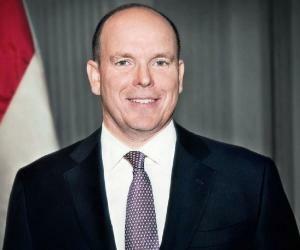 However, it also curtailed his power of appointments to a large extent. To improve the condition of his subjects he began to drain marshes and promote agriculture. He also encouraged the manufacture of luxury items such as silk, glassware and tapestries, which were earlier imported from abroad. To improve transportation, he many canals, bridges and highways built. On the military front, he fortified the country’s border and made the army stronger. He signed a number of treaties with foreign powers and sent emissaries to Far East and India. He also planned to turn Paris into a centre of art and education. Collège Prytanée Militaire de la Flèche was built in his time. As King Henry III of Navarre, he had married Margaret of Valois, the daughter of King Henri II of France, on August 18, 1572. However, the couple mostly lived apart and did not have any issue. In1590, the king met Gabrielle d'Estrées and fell in love with her. Although the king was already married, the couple was openly affectionate to each other. Gabrielle even accompanied the king on his war expeditions and took personal care of him. She had three children by him. It soon became apparent that Henry IV should have a legitimate successor. Although he wanted to annul his marriage with Margaret and marry Gabrielle but his councilors did not agree. However, the problem was solved by Gabriell’s death in 1599. The King’s marriage to Margaret was annulled in the same year and in October 1600, the king married Marie d’ Medici. 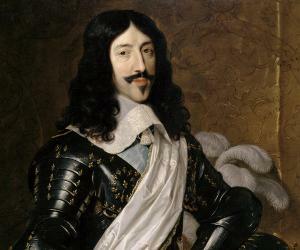 The couple had six children, out of which Louis XIII, the successor to King Henry IV was the eldest. King Henry IV took few other mistresses and had children with them. For such philandering, he was nicknamed ‘E Vert Galant’. His other nicknames were ‘Henri le Grand’ and ‘Le Bon Roi Henri’. In spite of his popularity several attempts on his life were made. 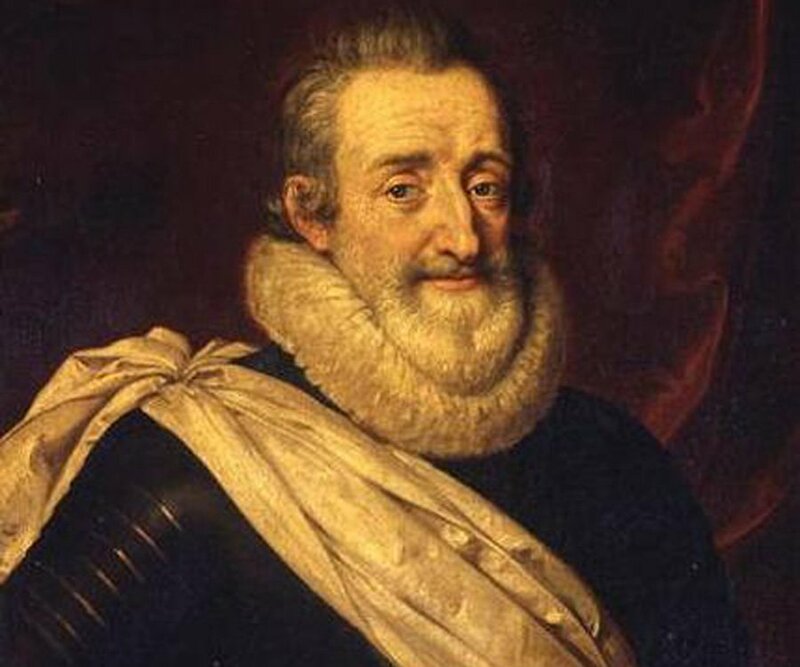 King Henry IV of France was finally assassinated on May 14, 1610 by a fanatic called François Ravaillac. He was stabbed to death on Rue de la Ferronnerie when his carriage was halted by a road blockage.